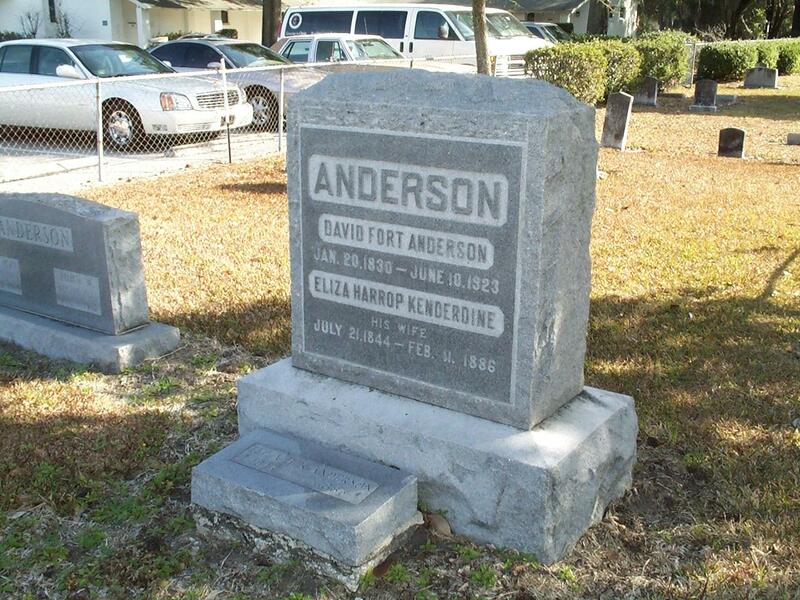 Headstone of Dr. David Fort Anderson (1830-1923) and Eliza Harrop Kenderdine Anderson (1844-1886) at the Conway United Methodist Church Cemetery in 2003. Dr. Anderson was the grandson of United States congressman, Isaac Anderson (November 22, 1760 - October 27, 1838) and served as the postmaster of the Conway area until 1907. "Dr David Fort Anderson." Find A Grave. http://www.findagrave.com/cgi-bin/fg.cgi?page=gr&GRid=21429536. Cook, Thomas. 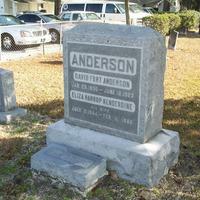 “Headstone for Dr. David Fort Anderson and Eliza Harrop Kenderdine Anderson at Conway United Methodist Church Cemetery.” RICHES of Central Florida accessed April 22, 2019, https://richesmi.cah.ucf.edu/omeka/items/show/1907.